Baroque sonatas, cantatas and suites. Sunday 13 July 2014 15:00 — English wing, State castle Veveří, CZ–66471 Veverská Bítýška. The ensemble specializes in music of the early and high Baroque period, Italian and German masters and writers influenced by Italian and German baroque mannerism. Its core repertoire includes compositions by Antonio Vivaldi, Dietrich Buxtehude, Georg Friedrich Händel, Johann Sebastian Bach and Georg Philipp Telemann, represented by vocal-instrumental and solo instrumental pieces. The concert programme focuses on solo pieces for harpsichord, violin and basso continuo alternating with cantatas for soprano, violin and basso continuo. Alice Ondrejková graduated in history and subsequently in musicology at the Philosophical Faculty of Palacky University in Olomouc (Ph.D. in 2011). She studied singing privately, first with Hana Štolfová-Bandová in Bratislava. While at the Janáček Academy of Music and Performing Arts in Brno, she studied abroad in 2007 with prof. Elizabeth Kovacs at Universität für Musik und darstellende Kunst in Vienna. Afterwards she studied singing with Irena Troupová at the Academy of Ancient Music in Brno and privately with prof. Jarmila Hladíková. She has participated in singing courses with Eva Randová and Jiří Kotouč, and baroque chamber music workshops led by Václav Luks and Marek Štryncl. She has song with various groups such as Ensemble Damian and Cantus et Cordis, and is leader of Ensemble Serpens cantat. In addition to baroque music, she also devotes herself to contemporary music (in cooperation with the Brno composer Miloš Štědroň, among others). She teaches at Olomouc School of Church Music (KEA) and at the Department of Musicology at Palacký University in Olomouc. 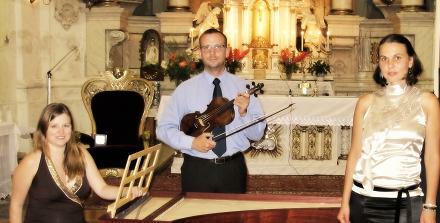 Flašar Martin studied violin at Brno Conservatory. In addition to the regular studies he participated in international music courses under the supervision of Václav Hudeček, Bohumil Kotmel, Rudolf Šťastný, Katharine McIntosh and Peter Zajíček. After completing postgraduate studies at the Institute of Musicology, Masaryk University, he has worked there as a lecturer and researcher. He has also worked as editor of the periodical Opus Musicum and as free-lancer with Czech Radio 3 – Vltava. 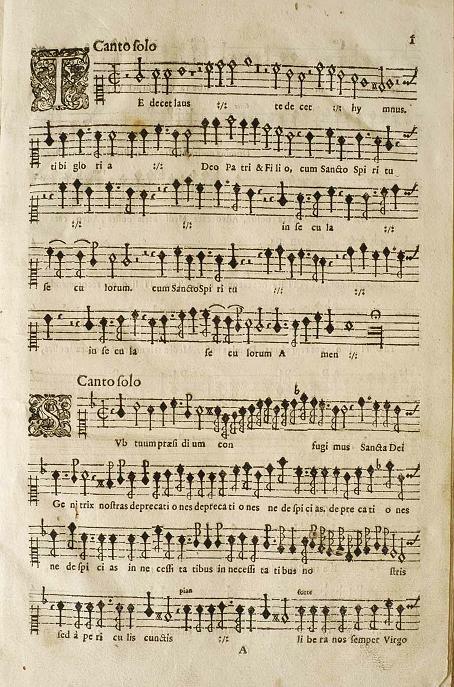 He also devotes himself to historically informed performance of early music with the ensembles Hofmusici (formerly Capella Academica), Cantus et Cordis, Ensemble Serpens cantat, etc. Kamila Dubská studied organ with Zdeněk Nováček at Brno Conservatory and harpsichord with prof. Barbara Maria Willi at Janáček Academy of Music and Performing Arts in Brno (MgA. 2012). In 2010 she studied abroad at Koninklĳk Conservatorium Den Haag in the harpsichord class of Ton Koopman and Tini Mathot. There she also participated in many lessons with other leading experts in early music, such as Jacques Ogg, Sasha Zamler-Carhart, Corina Marti, Patrick Ayrton and others. She continued to deepen her knowledge by actively participating in master classes of leading Czech and foreign artists, such as Académie de Sablé in Prague – François Langel, Martin Sander, Theo Jelema, clavichord – Berndhard Klapprott, courses of baroque chamber music – Václav Luks, Marek Štryncl, Jesper Christensen , James Johnstone, Ashley Solomon, Reiko Ichise – Florilegium. She is member of Ensemble Serpens cantat and the Prague-based ensemble Motus Harmonicus. Currently she focuses mainly on chamber music, educational activities and concert performances in the Czech Republic and abroad. The concert takes place with financial support from the Ministry of Culture of the Czech Republic and the Statutory City of Brno. The project “Summer festival of Early Music” takes place in cooperation with the National Heritage Institute (NPÚ), the management of Veveří state castle.